It is with broken hearts, that we announce the sudden passing of our beloved Roy at his home in Water Valley, Alberta, at the age of 64 years. Roy will be deeply missed by his loving wife Ruby; his son Ken (Sonya) and their children Kiara, Ashlee, Kode, Asia, and Hunter; his daughter Carrie and her children Alecia and Shaylene; his daughter Rebecca; his son Zach; his father Kenneth; his brother Hector; his sister, Sandy (Rick) and sister Val (Rodger). Roy was predeceased by his mother Joy, his brother Rocky and niece Taylore. Roy was a wonderful husband, father, grandfather, colleague and friend. He was always there for whomever needed a hand, welcoming anyone and everyone, equally and without judgment. Everyone loved Roy and he loved to make people laugh or engage them in conversation. He was a critical thinker and loved to debate with passion. And while he was a tough character, he was wonderfully soft at heart. He believed in giving back, reaching out in support of many organizations close to his heart. Roy loved his family, his home, (where he could spend time in his gardens and mowing the lawn) and his animals, especially his dogs. 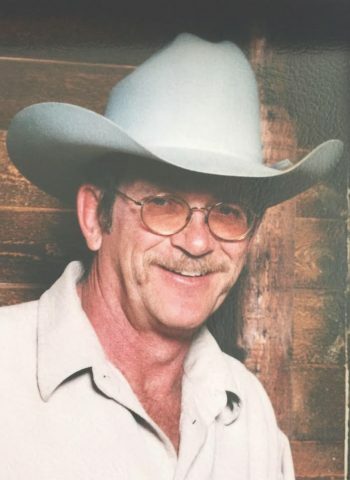 Outside of home, Roy loved to golf and enjoyed his life in business, owning R&R Vac Truck & Scrubber Services. A Viewing will take place at Cremona Country Fellowship Church (210 1 Ave W, Cremona, AB) on Tuesday, June 21, 2016 from 10:30 am – 11:30 am. Burial will follow at Cremona Cemetery. A Memorial Service will be held at the Cochrane Alliance Church (902 Glenbow Dr, Cochrane, AB) on Tuesday, June 21, 2016 at 3:00 pm. In lieu of flowers, donations may be made to River’s Edge Camp (5038 Township Rd 295A, Cremona, AB T0M 0R0 – http://www.riversedgecamp.org) and World Vision (child sponsorship) http://www.worldvision.ca. Dear Ruby and Family; Were so sad to hear about Roy remember when he was young and those three boys kept Joy and Ken busy.Then a young man that had things to do and people to see how he loved his family and wanted to do the best for them.Enjoyed visiting with him on the Watervalley golf course and how he looked after his dad.He loved life and his kids and family cherish the memories and how he loved you all. Words can not express the sorrow I feel for your loss Roy was a friend a mentor and a good man he taught me a lot about life and what it took to make it in the oil industry he wasn’t always gentle but he was always fair and he was one of the most loyal people I ever met and I’m a better man for knowing him. l will miss him always. Ken and family, I am so sorry to hear of your son’s passing. My thoughts and prayers are with you and Sandy and all of Roy’s family.